From stellar-looking galaxy cakes to Insta-worthy tiered confections, these desserts are as delicious as they are beautiful. Ahead, we dish out the cake shops and bakeries churning out the most beautiful cakes in Jakarta. They say “a party without cake is just a meeting” and we can’t help but agree with the statement, especially when it comes to birthdays and special occasions. 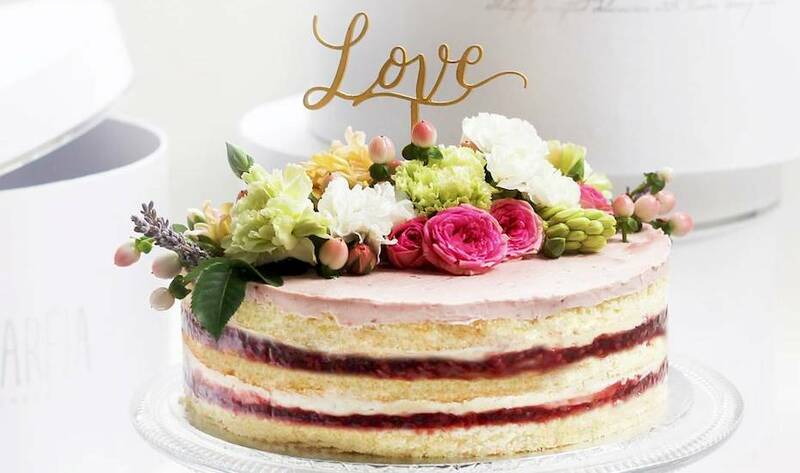 But if baking is not your forte, fret not because these top cake shops in Jakarta will do the hard work for you while you get to enjoy their beautiful yet delicious confections. Hey, there’s also no judgement if you feel like treating yourself just because. Who needs an excuse to eat cake, anyway? You know those gorgeous cakes you see all over Instagram? The stacked ones coated with a pastel coloured buttercream and topped with macarons, pretzels, marshmallows, and fresh flowers? Well, you can get your hands on one right here thanks to One More Bake. 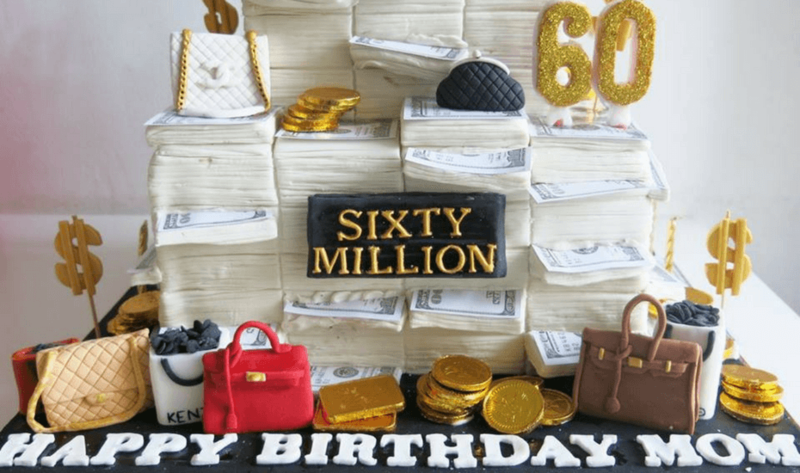 The Instagram-based cake shop can conjure up themed cakes to suit your fancy – soft marbled cakes, Poke-balls make out of cakepops and yes, the Insta-famous galaxy cake are all made to order here. One More Bake. Order via Whatsapp at +62 813 1575 6202. Follow @onemorebake on Instagram. It’s no secret that Pastry Chef Karen Carlotta is a genius when it comes to seriously imaginative cakes. Who else would have the know-how to transform local desserts like pisang ijo and es teler into cake form, and actually succeed? Her signature soft chiffon sponge confections are glorious indeed, but don’t just take our word for it, try it for yourself. AMKC Atelier, Plaza Indonesia Level 1, Jl. M.H. Thamrin No. 28-30, Central Jakarta. 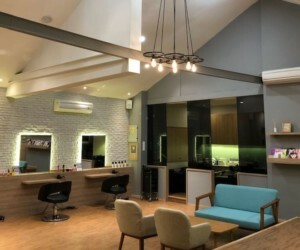 p. +62 21 2992 43596. Follow @amkcatelier on Instagram. Make your life instantly better with a slice of Union’s wholesome line-up of layered confections. Just a warning: spend too much time staring at their counter of drool-worthy cakes, and you’ll be walking out of there with a slice of one each. Their Red Velvet is an instant classic, and the Old Fashioned Chocolate Cake is easily the best piece of chocolate cake you’ll have in town. Our personal favourite though is the oddly satisfying PB&J. Also a must-try? The Union PIK’s exclusive Ube Velvet Cake, which will be worth the trip to this northern part of Jakarta. Union. Multiple locations, check website for details. 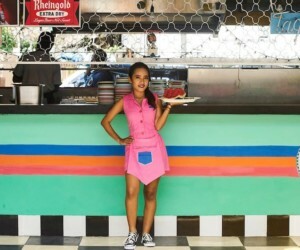 Follow @unionjkt on Instagram. Photography: courtesy of Lareia Cake & Co. 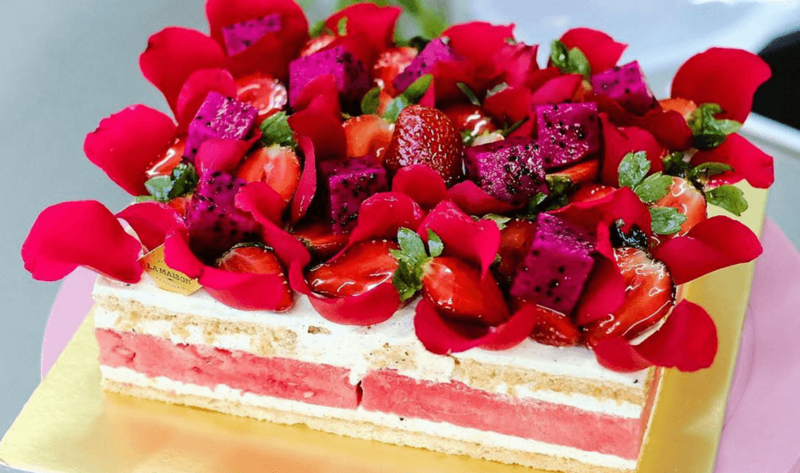 Founded by an aspiring screenwriter and a food stylist from Surabaya, Lareia Cake & Co quickly blew up on Instagram with their delicious interpretations of the French mille crepe, or thousand layer cake. The team cleverly drew up a following with their unique flavour choices. You can even pair up with other customers to get slices of all the flavour combinations to make up one entire cake. Crafty huh? Lareia Cake & Co. Order via phone at +62 877 8254 7176. Follow @lareia.id on Instagram. No fuss and frills here! The beauty of Surely Someday Kitchen’s cakes is in their simplicity – the bakery focuses on simple, comforting flavours, and beautifully done rustic shapes. Check out their Chocolate Chip Cookie Cake with Browned Butter Cheese Cream for a rustic dessert that is absolutely divine. Surely Someday Kitchen. Order via WhatsApp at +62 818 167 071. Follow @surelysomedaykitchen on Instagram. Famous for their classic creations, Ann’s Bakehouse and Creamery is our go-to shop when it comes to simple yet delicious cakes. Their signatures include the Reese’s Banana Cake, Bailey’s Tart, Tres Leches and Key Lime Pie, but their New York Cheesecake is actually the one that stole our hearts. 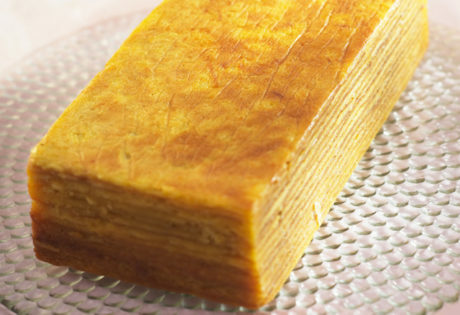 Ann’s Bakehouse also sells classic French pastries like choux sable, scones, and éclair, as well as baked products and cold desserts that are equally delicious. Ann’s Bakehouse and Creamery, Jl. Sungai Sambas 3 No. 12, Kramat Pela, South Jakarta. 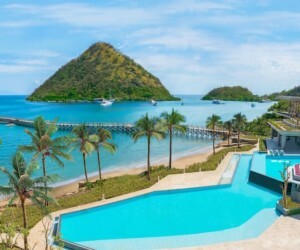 p. +62 21 2751 7049. Follow @annsbakehouse on Instagram. Fans of cheesecake will adore Doré for their signature Fromage Cake. Originally from Hokkaido, their cheese cake is made of a layer of melt-in-your-mouth no-bake mascarpone and fluffy baked cream cheese. 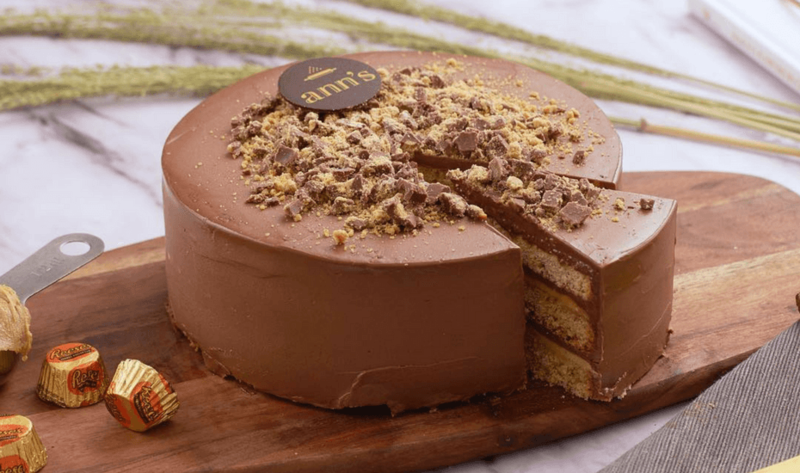 The cake is available in three flavours – if the original one tastes too milky for you, opt for their Melon Fromage or simply get the Chocolat Fromage if you’re a chocoholic. Doré by LeTAO. Multiple locations, check website for details. Follow @dorebyletao on Instagram. 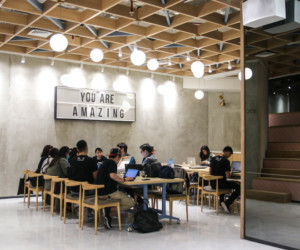 Originally from Medan, La Maison soon became the talk of the town when it attracted a huge crowd during pop-ups in Jakarta, all thanks to the power of Instagram. 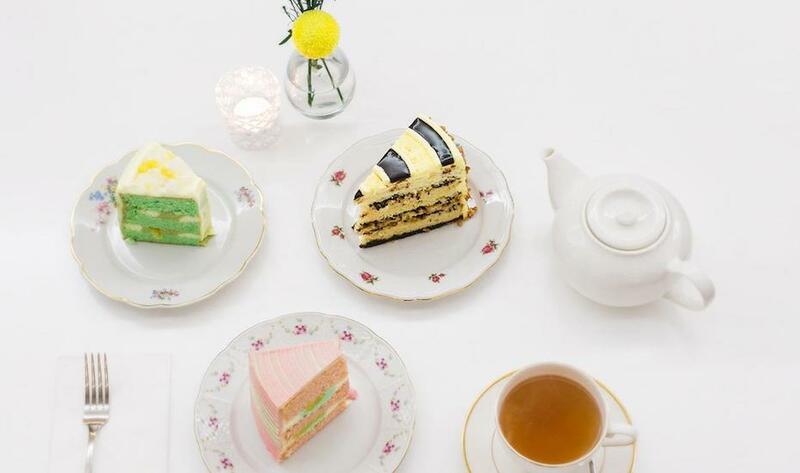 It didn’t take long for the patisserie shop to finally open stores in the Big Durian, offering their signature macarons and cakes like Tarte Aux Macaron, Mademoiselle watermelon and dragonfruit cake, and Laurette lemon cake. Psstt.. lots of their cakes are even crowned with fresh edible flowers, making them the perfect cakes for modern queens like you. La Maison. Multiple locations, check website for details. Follow @lamaison.jkt on Instagram. The only thing we hate about receiving fresh flowers is that they will wither after a couple of days. So wouldn’t it be nice to actually have flowers that we can enjoy, literally? 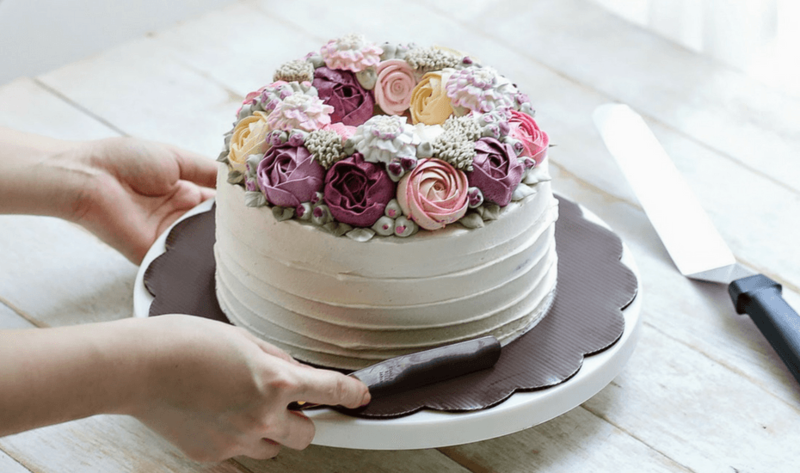 We’re not talking about fresh edible flowers here, as this type of flowers we’re talking about is made by cake designer Ivenoven using buttercream. Flowers are not the only shape of cake that you can get here though, as Ivenoven also makes cute yet delicious buttercream creations that resemble your pet dog, gudetama, or even your favourite dim sum. Ivenoven. Order via phone at +62 817 776 891. Follow @ivenoven on Instagram. Everything can be personalised these days, including your cakes. At Sugar Ministry, you can get your cakes decorated using fondant icing in any shape or design you want. When we say any, it’s really anything you want to describe the birthday boy or girl, from a box of fried chickens for your KFC-lover boyfriend, a unicorn cake for your little one, and a bubble tea for that sugar-high friend of yours, to your mom’s favourite nasi campur and even your collection of designer handbags. Well if you can’t afford that Hermes bag you’ve always wanted, at least you get to receive them as a cake and eat them as a bonus. Sugar Ministry, Jl. Mandara Permai VII Blok 6JP, Pantai Indah Kapuk, North Jakarta. p. +62 21 3001 0507. Follow @sugarministry on Instagram. Ismaya’s cake joint Colette and Lola has been a favourite for their fun, colourful cakes like Rainbow Cake, Es Teler Cake, Berry Blush, and Ovo Milo. But if you’re bored with the usual round cake, get their signature “This is Not a Lego Cake” instead and have fun with your edible lego toy made of sponge cake with four different flavours. Colette and Lola. Multiple locations, check website for details. Follow @colettelola on Instagram. Or, sign up for our weekly newsletter!